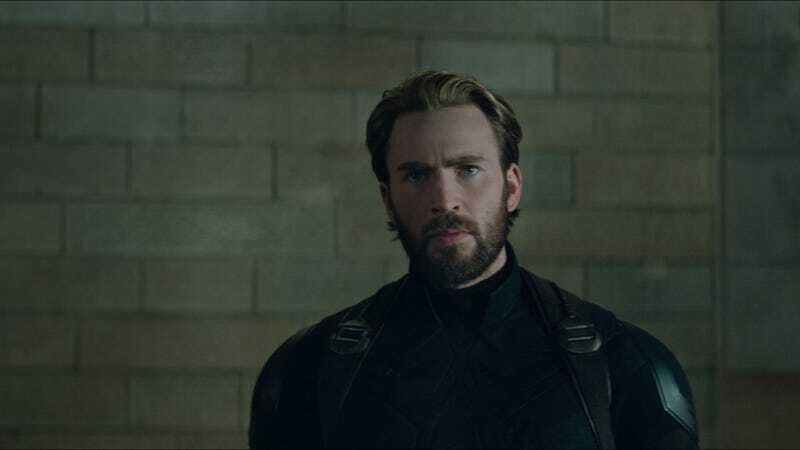 Chris Evans has spent the last few years being frustratingly vague about just how much longer he plans to continue playing Captain America in the Marvel Cinematic Universe, saying just last year that he’d have a hard time hanging up his stars and stripes when his contract ends after Avengers 4. At the time, he said he’d be “open” to sticking around as Cap, but he has also been open about his anxiety over playing such a major character in the first place and it might be a bit of a relief for him to no longer be the face (and the abs) of such a major movie series. Unfortunately for everybody on Team Cap, Evans has confirmed in a New York Times profile that he “has no plans” to return to the MCU after Avengers 4, noting that the film’s reshoots in the fall will mark his last time tossing the shield around—at least professionally. He adds that “you want to get off the train before they push you off,” which seems like a fine philosophy, but it does mean we only have so many more opportunities to hear Captain America comically misunderstand some piece of modern culture, make the other superheroes jealous with some fantastic display of super-strength, or glance longingly at his very good friends Bucky and The Falcon. The New York Times piece also notes that Evans has recently grown a “formidable mustache,” which should be a crime after his amazing Infinity War beard, and it also implies that he and Jenny Slate are still broken up. Basically, aside from Evans seeming like a thoughtful guy who is nicely grounded, this is all a bunch of bad news. Cap will definitely die in Avengers 4, right?